Maybe Yatzie was a cat in her previous life :-) - she loves to climb trees! Especially if there is something to retrieve; a dummy or a sweet! It stimulates the brains of the dog to solve problems, so I always try to challenge the dogs during the walks. It also helps building the bond and making them have more attention for me, which is good considering the amount of rabbits around! Interesting ice formations in Viannen. 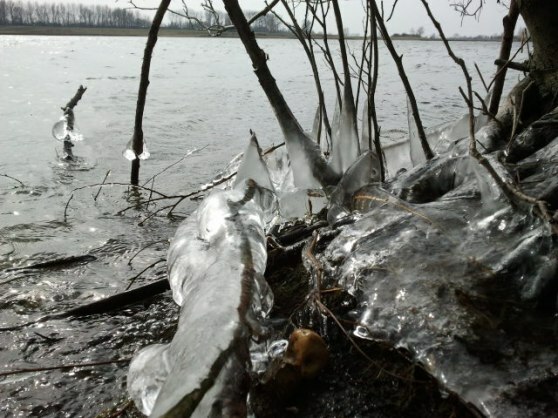 The spring is very cold here in Holland!